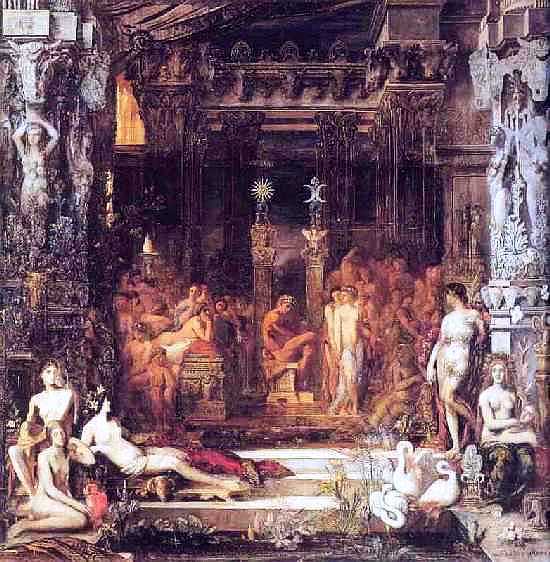 Moreau, Gustave , 1826-98, French painter. He was known for his pictures of the weird and mystical. The recipient of many honors, he refused to sell his paintings except to friends. Moreau was professor at the ?cole des Beaux-Arts, where his pupils included Matisse and Rouault. After his death, his house in Paris (now the Mus?e Moreau), with his fine art collection, was bequeathed to the nation. Orpheus (Louvre) and Oedipus and the Sphinx (Metropolitan Mus.) are characteristic works.